Mammen Daniel came to the United States nearly 50 years ago, launching his civil engineering career in Philadelphia and then moving to Baltimore in 1973. He applied his experiences in Maryland, Virginia and Washington, D.C., to the founding of DCI in 1982 with just over $3,000 in savings. His plan was to focus on traffic engineering, but he discovered a need to diversify and expand to a full service civil engineering firm in order to serve clients more fully and to grow the firm. Years later, the firm found a niche in transportation planning and design, coming full circle. Major projects allowed DCI to attract some of the region’s most talented engineers and researchers. Federal Highway Administration projects led to Baltimore City and Maryland State Highway Administration projects, particularly open-end traffic signal design projects. A notable project was the Baltimore City Central Light Rail System Signalization Design, which was completed in 1991. Monumental events led to next-level growth for the firm. For example, the acquisition of the structural engineering firm ASHTEC in 1989 doubled DCI’s staff and broadened its qualifications. Next there was DCI’s expansion into Pennsylvania in 1985 and Virginia in 1987. This proved the firm was more than a local contender. 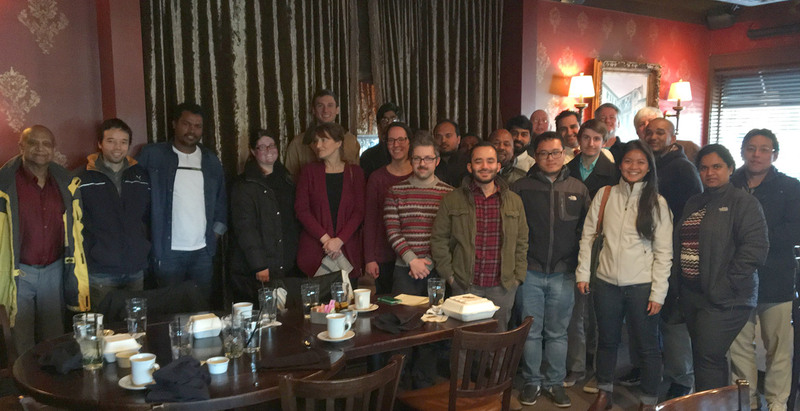 Major projects for Baltimore City, the District Department of Transportation and the Maryland Transit Administration created an environment for talented and ambitious engineers to launch their careers and sometimes their own firms. His decision to shift toward retirement was personal as well, he explains, to give him more freedom to travel and spend time with his family and grandchildren. Mammen’s transition has paved the way for new management at DCI. Subin Daniel, who is Mammen’s son, and Manzur Elahi, who is a long-time employee, have taken the reigns as leaders at DCI, along with Tanya King and Richard Sobbott.